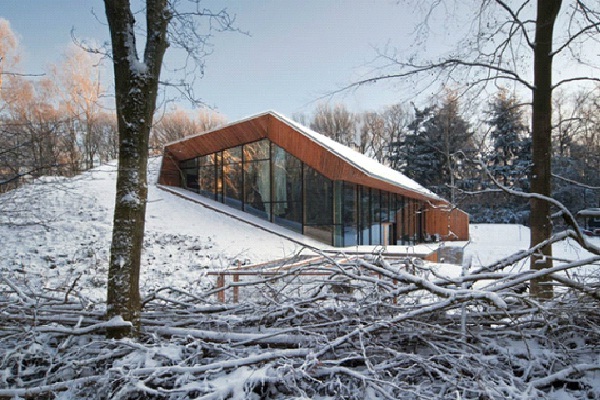 This Dutch mountain house is a great alternative to regular housing. Built into the ground, only some of the home is exposed to the elements. With large glass windows, the sun heats the home, while the ground keeps it cool during summer. Highly energy efficient and cozy these types of homes may be the way of the future.